PlanetRomeo Foundation is an independent registered non-profit, established in 2009. We fund LGBTI projects in countries and regions where it's needed most. By providing grants up to €5,000 we set out to be a stepping stone for new, emerging community initiatives. We look back on 2017 with pride. 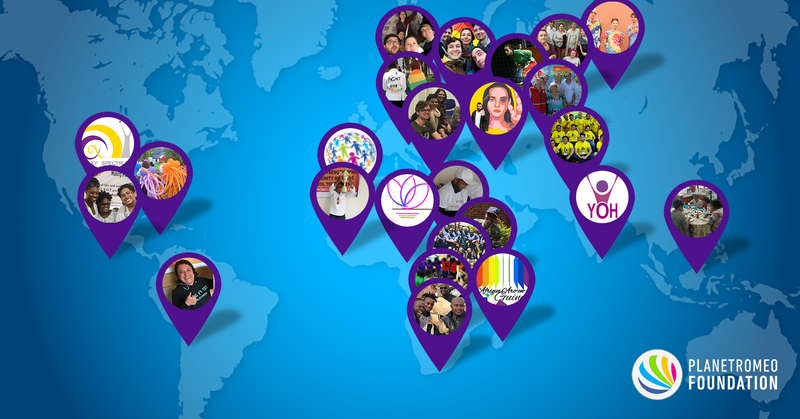 In total, we funded an astonishing €207,383 to 46 LGBTI projects around the world. We’ve funded 120% more, that’s twice as much compared to 2016! We are more determined than ever to continue our efforts. 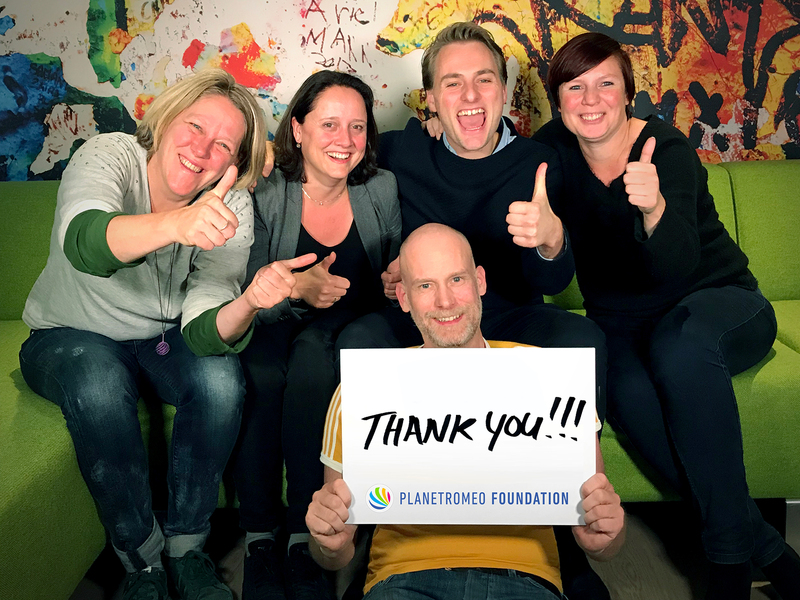 By donating more than €65,000 in 2017, PLANETROMEO members have made a contribution to the entire international LGBTI community. Therefore, we extend our immense gratitude to all Romeos who made this possible. You really make a difference! With our funding, we try to help those in less favorable circumstances, because in many countries LGBTI (sub)groups need support. We fund projects all over the world, but we prioritize projects and initiatives in countries and regions where gay people face bullying, discrimination, exclusion, violence or worse. After hearing of the horrible reports of atrocities taking place in Chechnya and Azerbaijan, PlanetRomeo Foundation took action. Even though we only fund on a per request basis, the Management Board made an exception by granting €5,000 to the Russian LGBT Network. This is the 'go to' organization with respect to LGBT rights in the region. We also proactively donated €5,000 to the Azerbaijan Crisis Fund of ILGA Europe. They will re-grant these funds to activists working directly with victims, helping them with temporary accommodation, or covering travel costs to move to safer locations. We help those who are kicked out of their homes for being gay and provide them with a safe place. We encourage initial steps in community formation and organizing. These steps will lead to further community development and activism, in order to make change happen. We support sports and cultural activities which have a positive impact on other aspects and areas of LGBTI people's lives. 2017 marked the start of a new strategic plan, in which we decided to let go of Education as a funding theme; it appeared to be too undefined and lacking focus. We would like to fund as many initiatives as we can. So, we count on your support, and we hope that more Romeos will help us fund LGBTI initiatives around the world. We are determined to continue working towards achieving our vision: a world in which LGBTI people enjoy equal rights, equal opportunities and respect. Show your fellow Romeos that you proudly support PlanetRomeo Foundation. After making your donation, please submit your profile name. We will then add the Foundation Supporter Badge on your profile for one year.